At Stevenage and Knebworth Locksmiths we strive to achieve a high level of service by offering a easy and reliable key cutting service to the public and trade in the Knebworth area. 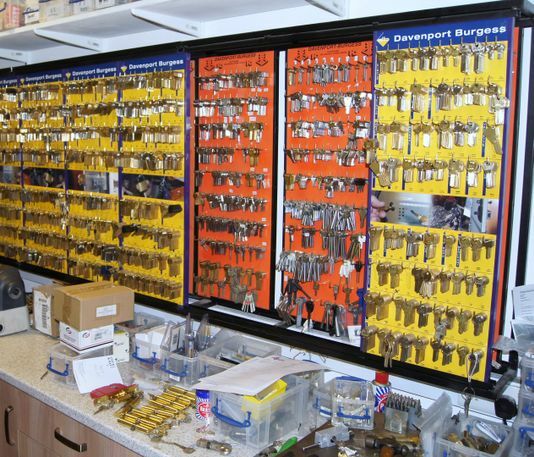 At Stevenage and Knebworth Locksmiths we provide a full Locksmiths Service, specialising in a highly skilled Key Cutting Service. With comprehensive ranges of key blanks we are able to Cut Keys and duplicate keys for just about any property whether its your Home, Business or Motor Vehicle. Using the latest technology we can generate perfect cut keys to both copy or code. Whether you need one key or five hundred keys our cutting department is always happy to help. We specialise in duplicate keys,broken keys,damaged keys, car keys. As well as cutting keys we specialise in Auto Locksmithing. Have you lost or broken your car key? We can replace or duplicate keys for you, including remote and transponder chip keys for Cars, Vans and Trucks as well as programming them to your car. We also have a mobile service covering Knebworth and the surrounding areas. Whatever key or duplicate keys you require our cutting staff are on hand to give you a quality, efficient and reliable service. As a local Key Cutting service in Knebworth, why not come down to our shop. You can place orders over the counter or if you prefer we would be happy to take your order by telephone on 01438 518892. We have ample parking spaces in a easy and accessible part of the town. So call or visit us today, we would be happy to hep with all your Locksmithing needs.